Ventrilo Servers Sponsorship We take sponsorship seriously, and so should you! We are now accepting applications from serious gaming organizations. 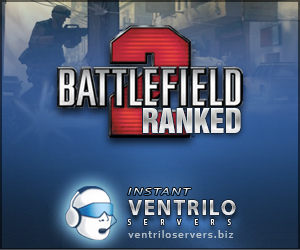 Let Ventrilo Servers Sponsor Your Gaming Organization! 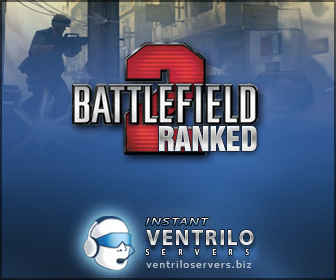 If you feel you and your organization has what is takes to receive a Ventrilo Server Sponsorship, then let us know by submitting your information below. 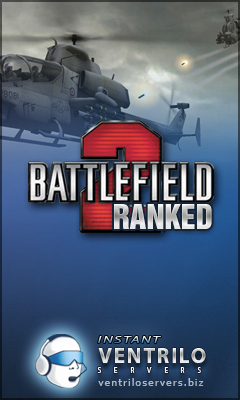 Are you serious about Gaming? Let's see! Listed below is a quick check list of virtual properies that you must already have in order to continue. If you do pre-qualify by having the items listed below, please come back when you do. Once your sponsorship request has been submitted, we will review your credentials carefully. If your application is considered for sponsorship, you will appear under "Organizations Awaiting Sponsorship". While awaiting sponsorship, we will be checking your votes and Facebook progress. When you are finally chosen for sponsorship, you will receive an email with instructions on installing an affilate banner on the home page of your website and also your Facebook fansite page. Once this is done, you will recieve your Sponsored Services for 90 days. At the end of the 90 day sponsorship, you will receive an invoice discounted invoice for your services automatically. Our staff will then review your affilate account and determine if you auto-qualify for another 90 days. If you do not qualify, you can simply pay for the discounted services and it will remain active. Live Chat does not help with Sponsorship Submission. Why should your Gaming Organization be sponsored? In two easy steps, you can receive an VOIP Sponsorship for your next LAN event. 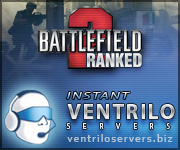 Ventrilo Servers provides servers and 50 percent discounts for any Ventrilo Services to all attending members. In each case, you will be required to provide digital pictures of the event within two weeks of the end of the event. Ventrilo Servers will only sponsor events with greater than 50 attendees. Click on the banner link below to download one of our Ventrilo banners to post on your gaming or event site one month before your LAN party. Congratulation, your request is done. Choose your banner.